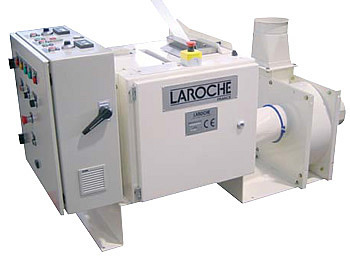 In the field of nonwovens, LAROCHE offers very accurate opening and blending lines. 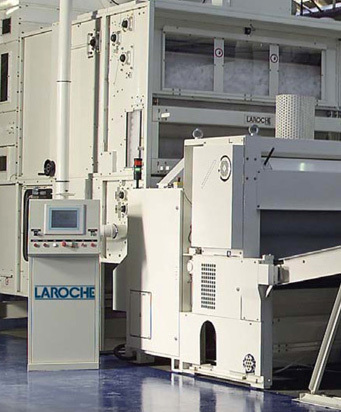 LAROCHE has developed since the nineties airlaying machines too producing at low cost first quality felts for furniture, automotive, insulation and other applications. 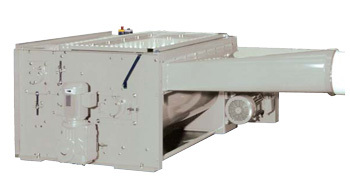 Edge trim opener "Minitrim" "Supertrim"
Opening and blending lines are designed to supply a consistent and intimate blend of opened fibers to web-forming equipment. 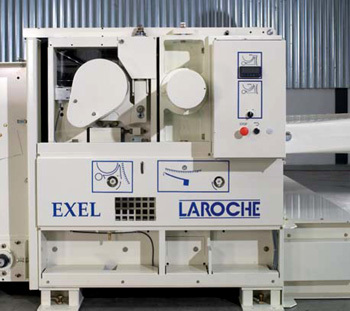 Reliable, accurate and intimate blends are archieved for nonwoven processes. 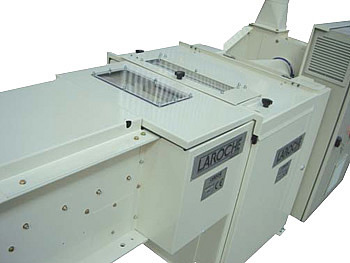 Complete lines with needle-punching, thermobonding and/or other bonding processes for bedding, furniture, carpet underlay, horticultural, insulation, automotive, geotextile, filtration, hygiene, wipes. 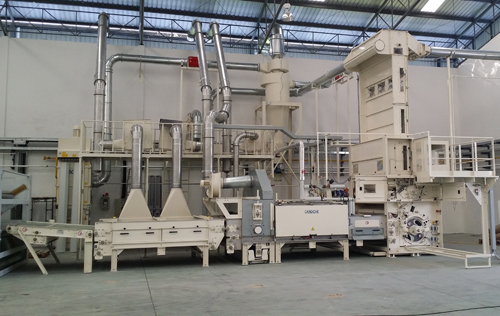 New line for the production of semicured resinated felts for flat or molded parts for the automotive and appliance industries. For easy unwrapping and loading of complete bales into bale opener. 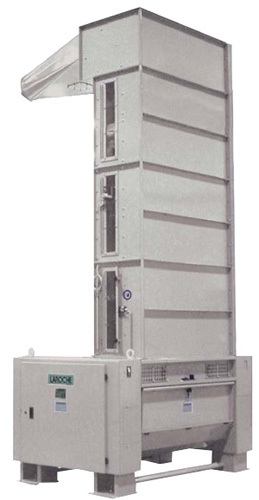 With weigh pan mounted on load cells. Self cleaning design. 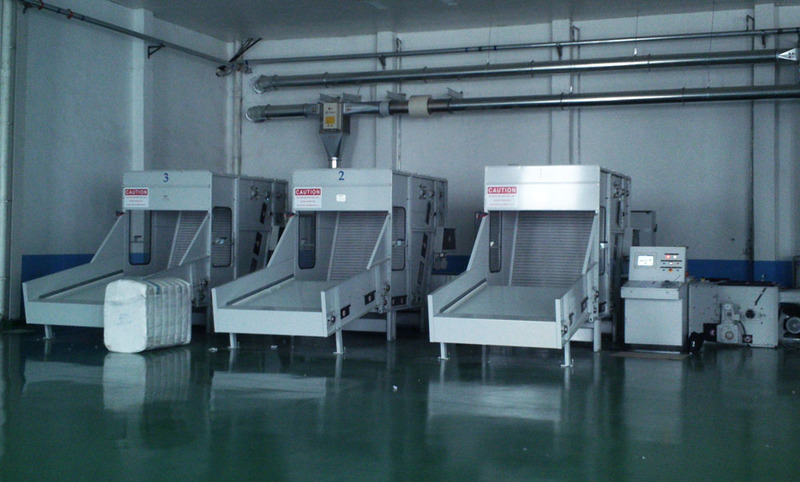 Weight control for high blending accuracy and high production capacity. 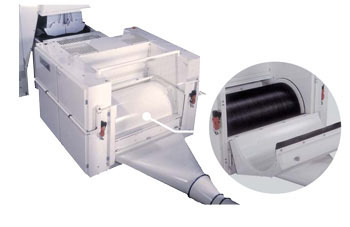 With two feed rolls and full pinned cylinder for a more intensive opening action. Suitable for all types of fibers. This machine is fed by a conveyor. 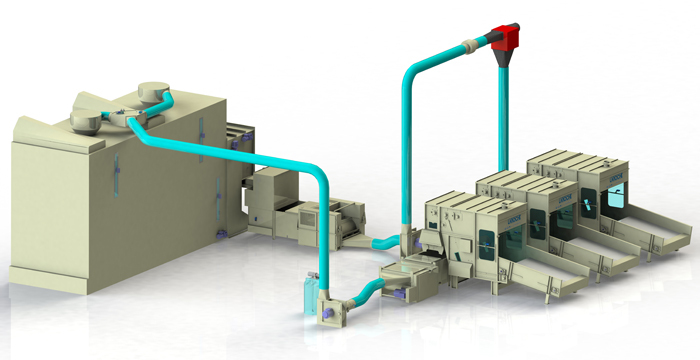 With integrated chute feed, two feed rolls and full pinned cylinder. Suitable for all types of fibers. For very fine opening with feed dish and pinned or wired cylinder. Recommended for fine opening and intimate fiber blending for Airlaid products and for fine opening of fine denier fibers for nonwoven carding process. Option: cleaning device. Available with two or more sections for special applications (micro-fibres, bleached cotton, silk). Self-emptying blending box for long term blend consistency. Combination of two blending boxes and one emptier. Recommended for frequent blend changes. 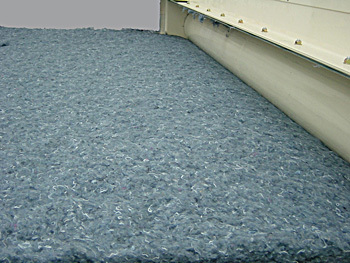 Option: “FLEXILOFT” for improved weight range, highloft and resiliency capability. 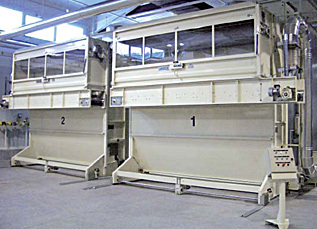 - bedding and furniture industry The airfelt uses a revolutionary system to mix resin powders (phenolic, epoxy...) with fibers. 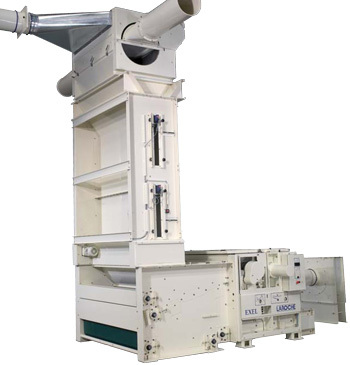 Minitrim & Minitrim “HSP” (MTRIM) for continuous recycling of edge trims into fibres. 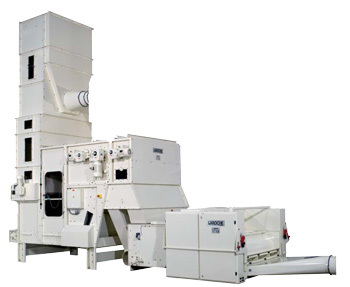 Feeding speed up to 40 m/mn (Minitrim) and up to 450 m/mn (Minitrim HSP). 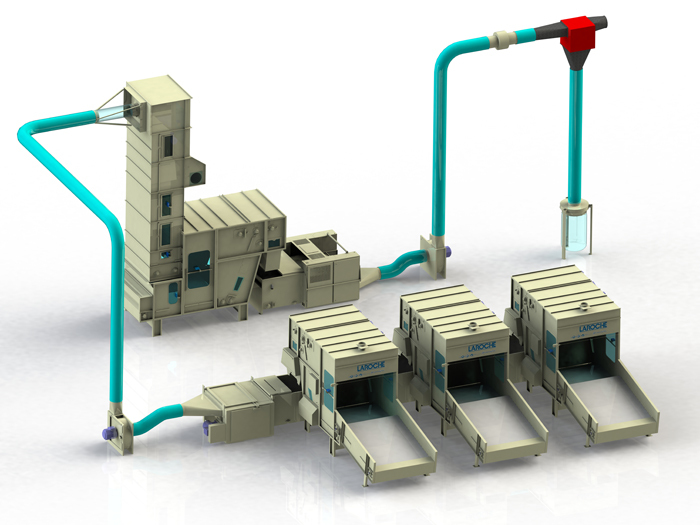 Options: water spray system - unwinding system for “roll goods”. 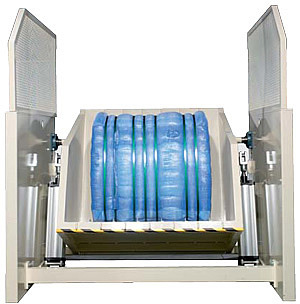 Supertrim (STRIM) for recycling both edge trims of rolls or pieces. Feeding speed up to 50 m/mn. 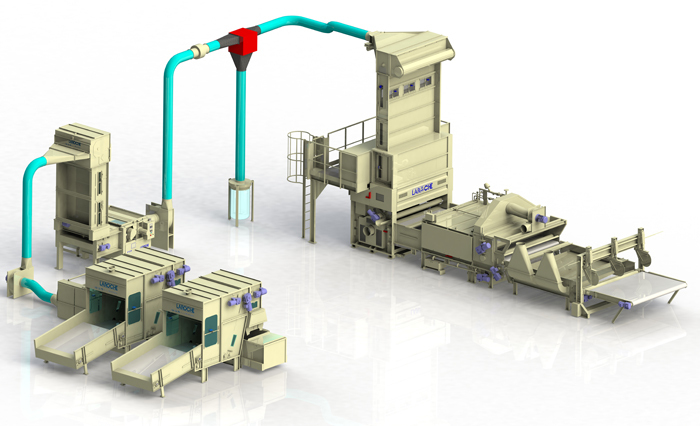 Option: feeding conveyor, water spraying system.